PULP!!! Cool & Unique Store! 見に行ってみてな～！ | Japaneze Jusu!!! ようこそ!!! 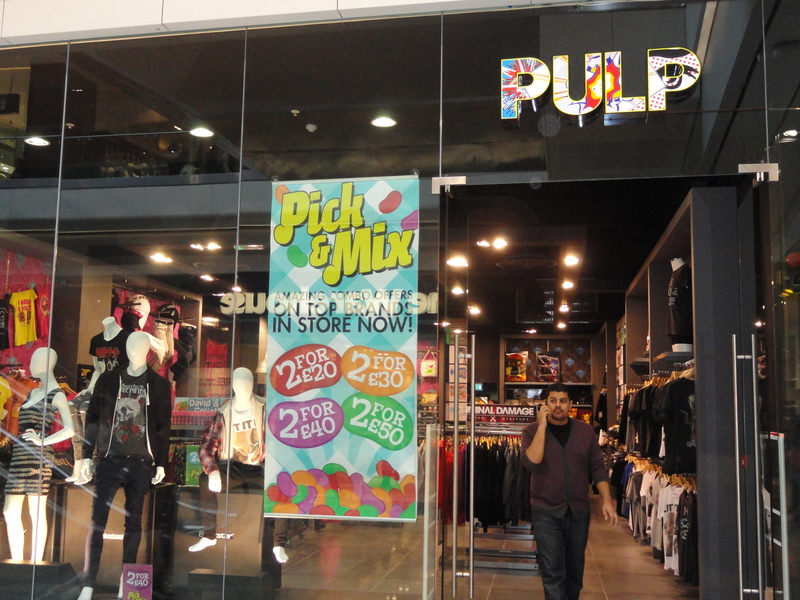 PULP is a clothing and accessories store in Stratford’s Westfield. For those of you who do not know what Westfield’s is, Westfield’s is a massive shopping centre in Stratford and there is also one in Shepherd’s Bush. At this store, you can buy high heels, clothes, accessories, bags…various unique items! It really is a cool store so I do encourage everyone to go and have and look if you are ever in London and if you have some free time! What attracted me to this store was the fact that as I was passing by, I happened to see some Japanese-y items and so I thought “I wonder if I should go and have a look?…”. Japanese-y items constantly attract my attention, and so I knew that I had to enter this store! The prices are…OK lol. By OK, I mean the prices aren’t cheap but they aren’t expensive either. Prices vary here depending on what you want to buy; and some things are about £15 and others about £70 I think. Nevertheless, go and have a look! ← ONE OK ROCK – New Album “人生かけて僕は” Ｊ－ロック Japanese Rock!! !